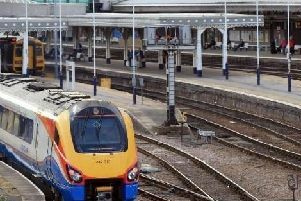 Doncaster has been named as one of the region’s busiest railway stations according to newly published statistics by the Office of Rail Regulation. The ORR statistics highlight the busiest railway stations in Yorkshire and the Humber with Leeds at the top with 27,729,453 entries and exits with Doncaster coming in fifth place with 3,409,789 entries and exits. Sheffield showed 8,618,3942 entries and exits, York 8,223,421 entries and exits and Huddersfield 4,816,1076 entries and exits for the period April 2013 – March 2014. People can also join ORR for a Twitter Q&A on Friday, December 5, between 2pm and 3pm with data analyst Sneha Patel, to know more about how it collects and analyses data and details about station usage in the region.